Want to learn more about the Benefits of Membership 2018? Contact us at 602.252.9363. Why join the Council? Collectively we can do so much more than working in isolation. We are a member driven organization committed to creating an environment that promotes and maintains a comprehensive, high quality, continuum of services to help Arizona’s children, adults, and families build lives of quality and recovery. The Council provides training, resources, research, policy analysis and advocacy, and opportunities to directly impact public policy on a local, state, and national level. Together we can address gaps in services and funding, and work to improve access to quality behavioral health, substance abuse, child welfare, and juvenile justice services for individuals and families in Arizona. Regular Monthly Community Forums and General Membership Meeting: The Council has a community forum and general membership meeting on the second Friday of the month. Once a quarter, state agency representatives attend the community forum. In alternative months, we offer presentations on topics of interest to members. The general membership meeting is an opportunity to see what the Council is accomplishing and share your thoughts and concerns. Advocacy committee helps to identify legislative and administrative advocacy concerns, determine our annual legislative priorities, and provide leadership for our advocacy efforts. Child Welfare committee helps to identify issues, concerns, and find solutions to problems impacting Child Welfare service providers. Human Resources committee provides an opportunity for HR staff to network and problem solve with one another and produce the bi-annual Salary Survey. Diversity and Inclusion group email whose goal is to increase access to and reduce disparities in access to services for under-served and under-represented populations. Peer and Family group email focuses on the unique needs of staff working in peer and family run organizations, as well as peers and family members working in traditional behavioral health settings. The goal of this group is to ensure the voice of peers and family members is brought to the Council committees. Substance Abuse group email works on issues and concerns to substance abuse providers and the community. Opioid Treatment Taskforce supports the efforts of those providing treatment for Opioid Use Disorder. Who are our members? The members of the Council provide services in all counties and most communities in Arizona. Members include all of the current Regional Behavioral Health Authorities (RBHAs), as well as behavioral health, substance abuse, child welfare, and juvenile justice programs that offer prevention, intervention, community education, and outreach programs, as well as a wide range of direct services to diverse populations throughout the state of Arizona. 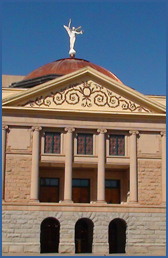 Who can be a member of the Arizona Council? To qualify as a member agency of the Arizona Council, organizations must contract with a state agency or a regional behavioral health authority for the provision of behavioral health, child welfare or juvenile justice services. In other words, our members provide services in the publicly funded service arena. Interested in membership in the Arizona Council? Contact Bahney Dedolph at 602.252.9363 or bdedolph@azcouncil.com.